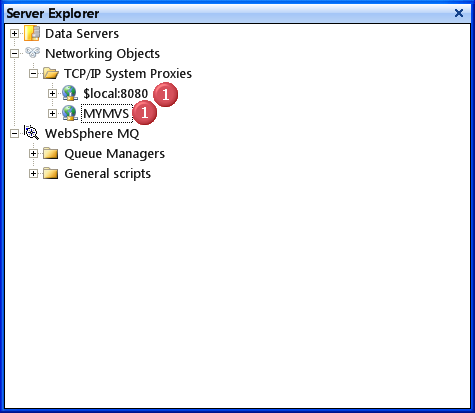 A System Proxy is a top level networking object; it typically sits between a client and a server. The client connects to the Proxy IP Address and Port, requesting some service. The System Proxy may provide the service by connecting to the Remote IP Address and Port and requesting the service on behalf of the client (tunneling) or it may provide a response using pre-loaded data, or dynamically generated data by a custom script (mocking). When a System Proxy is tunneling, it could also capture the data exchanged between the client and the server over connected sockets. These socket exchanges can be persisted in a Session File for analysis or replay (mocking). 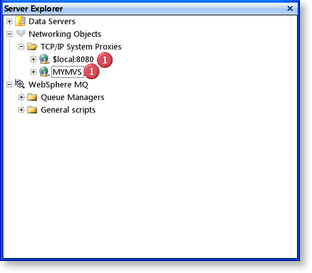 A System Proxy is represented as a node in the Server Explorer tool window under TCP/IP Appliances node.